Size of this preview: 800 × 574 pixels. Other resolutions: 320 × 229 pixels | 640 × 459 pixels | 1,024 × 734 pixels. 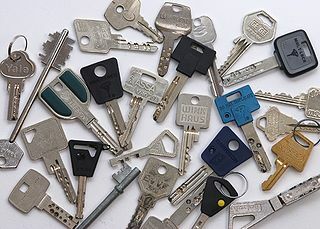 A variety of keys, mostly high security. This page was last modified on 26 October 2012, at 14:37.